Our local plumbers cover the Eccles area, Manchester. We cover all aspects of plumbing work no matter how big or small it is, if water runs through it we do it! 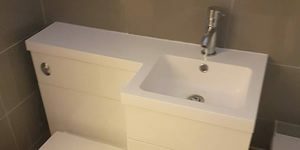 With years of hands on experience, our aim is to provide a top rate plumbing service in the Eccles area and save you money. We always put you first to make sure we go above and beyond as a professional plumbing service. Best of all we don’t charge call-out fees! Get in touch with a local Eccles plumber.